Anny Tenbult has been coaching Forever. 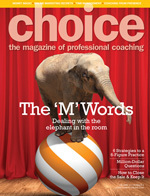 Power Coaching is the best way to move ahead quickly. You tell me you saw me here and I will give you a special deal on coaching. Anny teaches, trains, coaches, and mentors as a way of life. It is in everything she does. Graduating from CLI in 1999 as a PCPC (Professional Certified Power Coach). She has continued with all the updates as they come on board. Her background is in sales, management, training, teaching working with teams and on her own. She adjusts what is needed and adapts easily to others styles making her an easy coach to work with. DiSC is another of the tools she uses. Group Coaching is effective as well as one-on-one coaching to Accelerate your Greatness. Laughter is the best medicine so if you like to smile while you are learning then Coach Anny is the best way to go. Anny Tenbult coaches one-on-one and in groups. She has coached various levels of the Federal Government such as Health Canada, HRSDC, Service Canada, Natural Resources, Ministry of Transportation etc. Wholesale such as plumbing and several trucking companies is another area that has been coached by Anny. Recently a top level hotel company hired Anny. She continues to WOW groups by keeping up with technology but also is able to get back to earth stemming from her roots and who she is.